Just a fair warning—these reviews contain spoilers. It’s impossible to evaluate these short stories without discussing their strengths and inadequacies, in which case will give away the plot. There’s just not enough info to skirt around the edges, as would be the case for a novel-length book. This story imagines what takes place after the dreadful proposal in a scenario where Mr. Bennet has passed away and Longbourn has become the property of Mr. Collins. Mrs. Bennett, a sickly Jane, Elizabeth and the three younger sisters are living in cramped quarters near the Gardiners in London. They are very poor, and Elizabeth has taken on a position as a waiting lady to an elderly woman with an odious son. 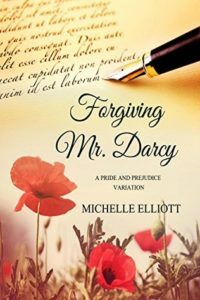 While Jane and Elizabeth are selling one of the last of their few fine possessions, they stumble upon Colonel FitzWilliam and Mr. Darcy. This sets into motion a renewed hope and subsequent plan to win Elizabeth’s heart…or in the very least, ease her family’s suffering. This is an imaginative P&P “what-if”, but did have at least one loophole–why did Mr. Darcy think Elizabeth had married into the Lucas family? It was never touched on whether or not that was a false rumor, or if the engagement was broken off after Lydia’s fall and their father’s death. It was also impossible to imagine such a quick, tidy ending. However, should this scenario be given more pages for the story to unfold, I think it would make a pleasing Austen variation. It has endearing new characters and a believable plot. All in all, worth an hour’s read for pleasure and contemplation. This Austen variation takes place after the Netherfield ball, at which point Mrs. Bennett passes away and Mr. Bennett, after some financial problems, becomes increasingly frail. All of the daughters go to live with relatives except for Elizabeth, who is taking care of her father with a skeleton staff due to their reduced circumstances. Mr. Darcy shows up and asks/demands that Elizabeth marry him, and she reluctantly agrees in order to ease their situation. What happens next is a convoluted series of events that makes little sense and is out of character for every involved party—with the absence of each antagonist from the original excepting the mention of Wickham. Indeed, this strange pseudo-Darcy is the antagonist until he’s (not very clearly) exonerated at the end. 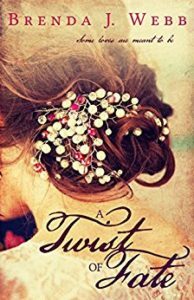 Along with numerous grammatical errors, this story has the loosest plot and most unsuitable characterizations of any Austen variation I have ever read. Most confusing is the flagrant disregard of Regency era social customs any veteran Austen reader would catch. This is an unsatisfying read without even the brownie points usually given for imaginative variations—it is simply awkward and amateurish.